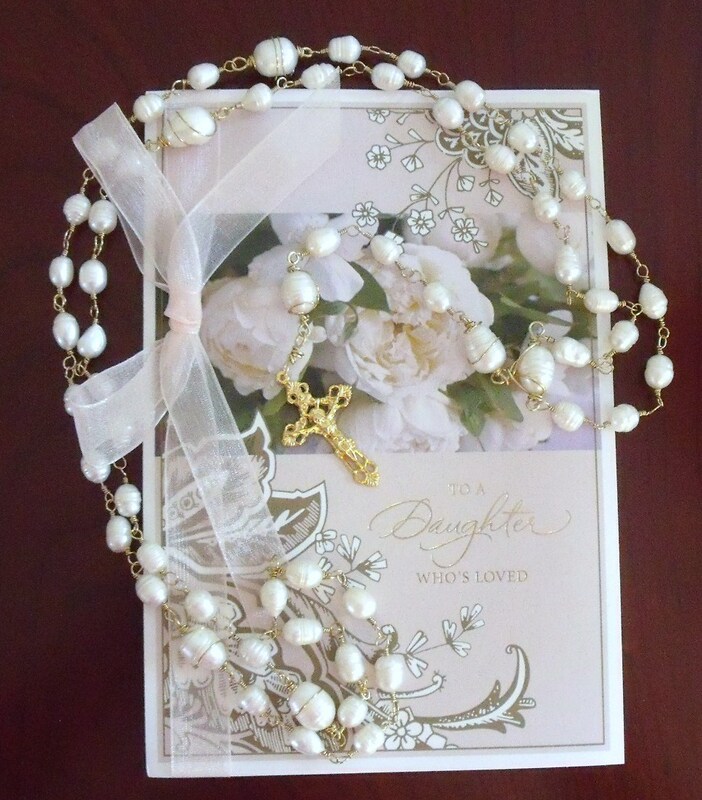 HAND WRAPPED FRESH WATER PEARL ROSARY | Nan Tubre Writes . 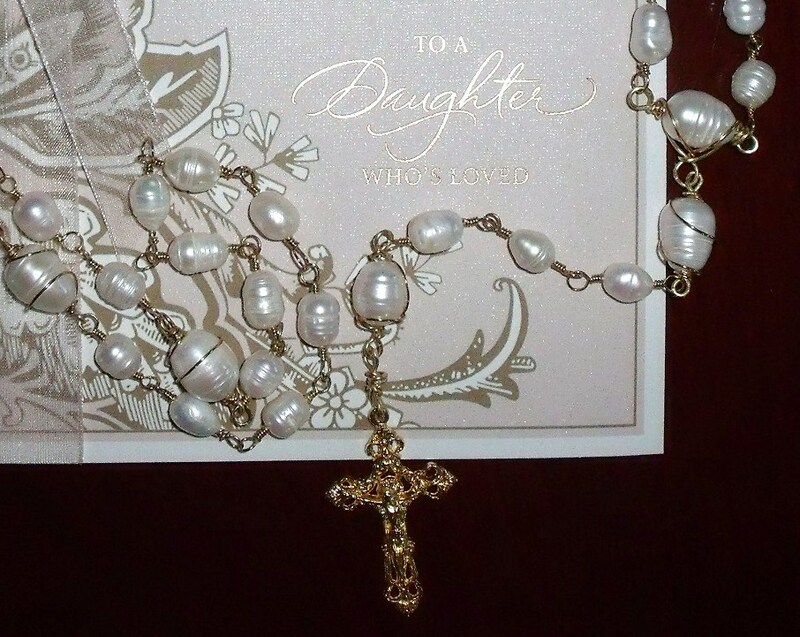 . .
Beautiful chunky fresh water pearls make this a very substantial rosary. They feel good in the hand without being too weighty. Each pearl is different and unusual. In fact, they are quite irregular; dare I say imperfect? But that is the point, actually. This rosary mirrors how each of us are within. We have all kinds of bumps and flaws in our personality, but there is also beauty characterized by the sheen and glow of a pearl formed from nothing more than a grain of sand, layer by layer. 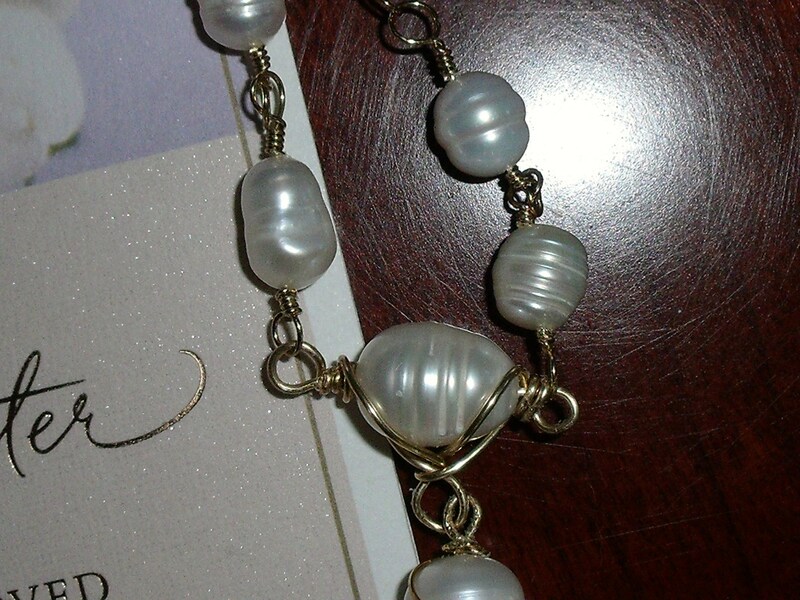 Hand wrapped links of gold tone 22 gauge wire are utilized for security. The center bead is wire wrapped, as are the Pater beads. The 1.5″ open-work crucifix is gold tone as well. Overall length is 29″. If you would like to see more of my work, go to www.etsy.com/shop/nanaspocket Use the coupon code blogfan1 at check out and you’ll ge a 15% discount!